that teach kids about God’s protection, provision and care for His people. Available for purchase in CD or Digital Downloads. 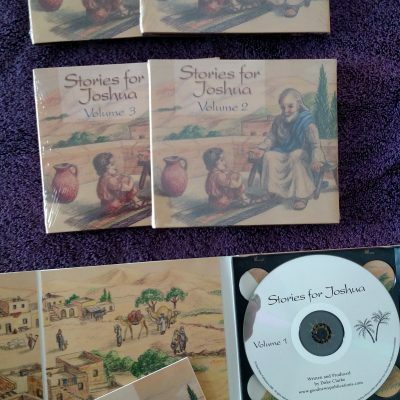 This series of 12 CD’s is designed to teach children how to connect with God by feeling safe and loved by Him. The stories show God’s protection, provision and care for His people. Each story reveals God’s goodness, His kindness and a connection with Him. The stories are set following an old eastern tradition in which a Grandfather tells his grandchildren about all the wonderful things God has done. Joshua and his family live in a fictitious village between Bethlehem and Jerusalem called Betheden during a time just after the death, burial and resurrection of Jesus. In fact, Grandfather was a young shepherd when the angels appeared in the field and told them of the birth of Jesus so Grandfather witnessed it all. 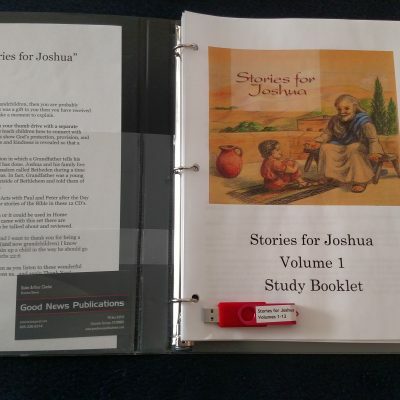 Starting in Genesis and going through the book of Acts with Paul and Peter after the Day of Pentecost, Grandfather tells Joshua all the major stories of the Bible in these 12 CD’s. It is designed to be a bedtime story for the children or it could be used in Home Schooling or Sunday Schools. There is a small booklet inside each CD that has questions for review and learning. 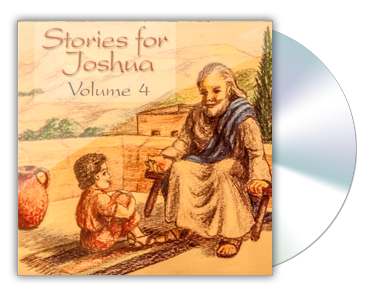 My kids loved Stories for Joshua, and they were such a great conversation starter. Buy this audio drama!